Large Size with leather handle and hand-lined. 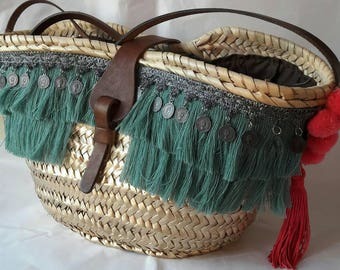 It Carries a large central element of fringe in green Sea, raffia and strip of coins in aged silver. It Has in the mouth of the carrycot several turns of silk thread in pink stick. He'S Wearing several natural wool pom-poms. The carrycot is gold color. 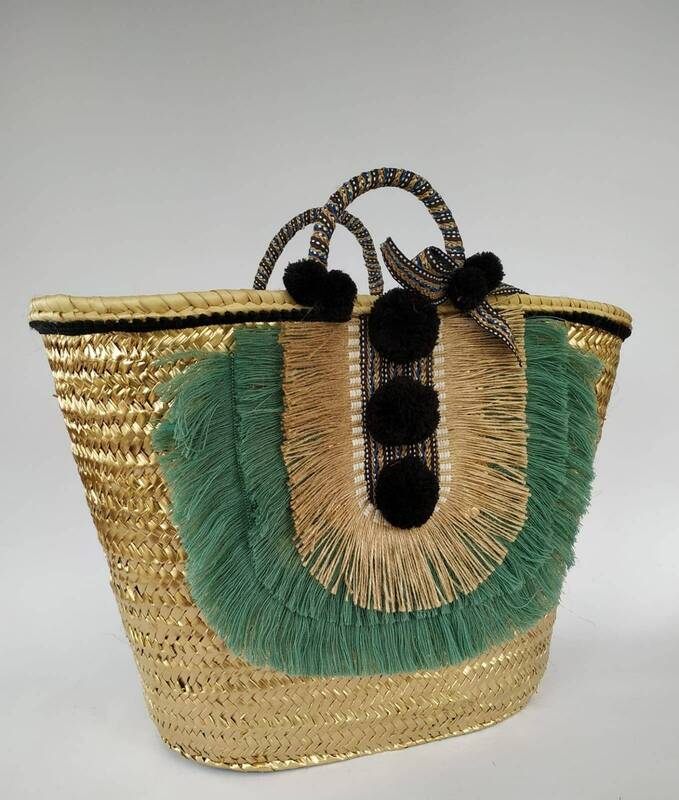 It Has a matching hat, shoulder bag and clutches. This size is the big one and has the capacity to put a towel or also for a stroller.